PCNA is delighted to host Dr. Wei Jiang at the Pharmacology Pre-conference at this year’s Annual Cardiovascular Nursing Symposium. Dr. Jiang is a world-renowned expert in the field of psychosocial risk and cardiovascular disease (CVD) and will discuss the management of depression and anxiety in heart patients. She brings a unique background in psychiatry, internal medicine, and cardiology. 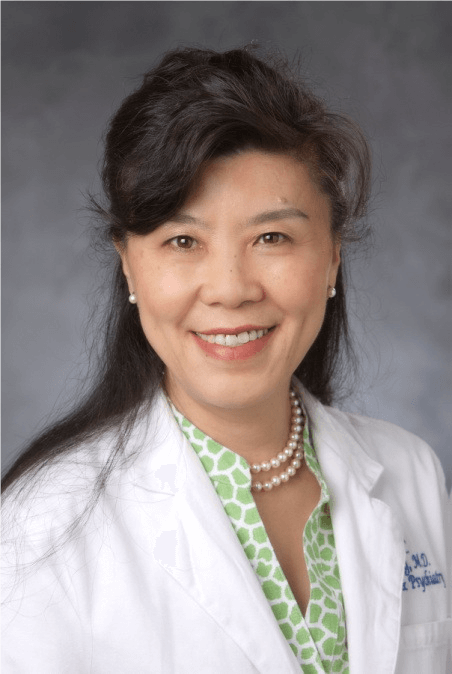 Dr. Jiang directs the Neuropsychocardiology laboratory and is the Medical Director of the Heart-Mind Center at Duke University Medical Center. Dr. Jiang’s interests include understanding the interplay within the circuit of the brain-mind-heart and identifying adverse interactions and therapeutic modalities to modify the negative interplay. In addition to being a leading researcher, Dr. Jiang is a clinical expert and has advanced the used of mental stress testing by identifying the psycho-social and biophysiological features of individuals who are susceptible or respond to common emotional stress adversely – a significant step toward personalized medicine practice in the mind-heart field. Dr. Jiang’s research has demonstrated the high prevalence and risk of depression in patients with ischemic heart disease, as well as those with heart failure. She urges mental health and non-mental health providers to recognize the negative impact of depression and prescribe recommended treatments for improved patient outcomes. We hope you join us in Denver to hear Dr. Wei Jiang and many more world-renowned speakers who are sure to provide you with the latest information and tactics to re-energize your nursing practice!